Close to Dublin & Powell! 8+ fenced and gated wooded acres with outdoor sand ring, dog runs, 10 stall barn with wash stall, tack & feed rooms & 80 x 160 indoor arena with viewing room. 1 Bedroom Trainers Apartment/Guest Suite! This Cape Cod home boasts a slate Foyer, sunken Great Room with fireplace and an amazing Kitchen addition (1990) with cathedral ceilings, wrap around cherry cabinets and giant center island! 1st floor Master Suite with many closets and spacious whirlpool Bath. 1st floor Laundry. Updated HVAC & much more! Truly a horse lover’s paradise! 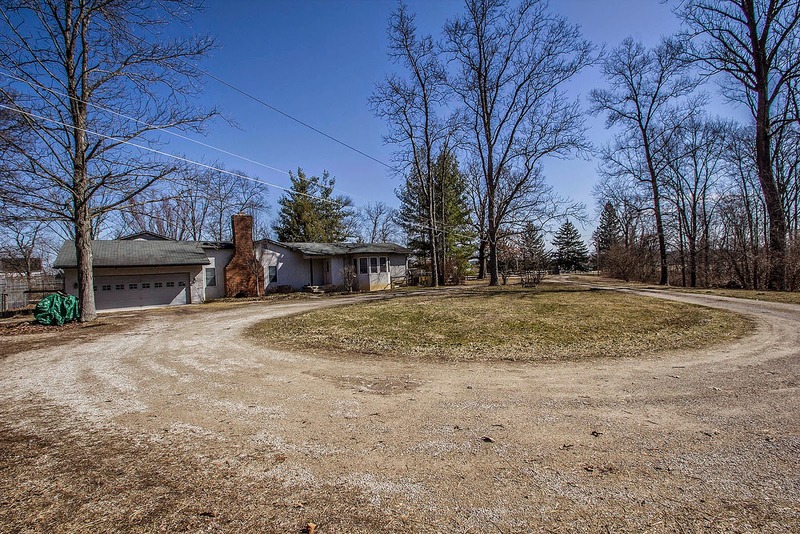 4 BR’s & 3 Full & 2 Half Baths (including barn/apartment). Nearly 2,700SF! Buckeye Valley Schools. Only $549,900! Call DeLena Today!